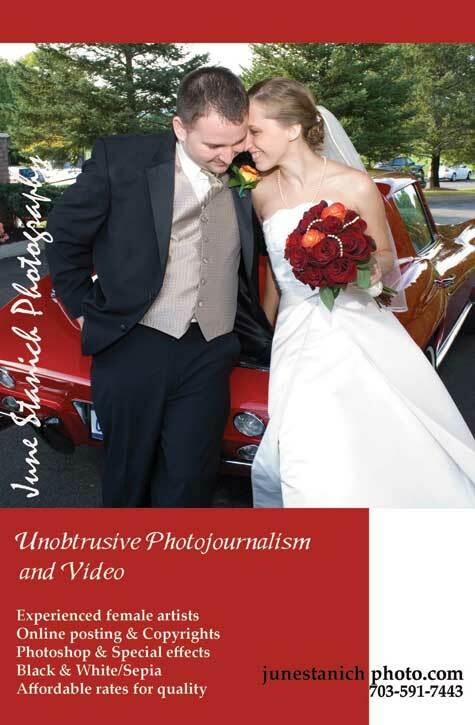 "... your description of 'unobtrusive photojournalism' is 100% accurate"
the new Mrs. Stephanie L.
Contact Us About Our Current Packages Now! Weddings, Bar and Batmitzvahs, Anniversaries, Families, Children, Portraits, Corporate Events, Headshots, Commercial Photography and Videography (including YouTube videos). ONLINE POSTING IS INCLUDED IN ALL PACKAGES, AND YOU OWN YOUR PHOTOS ON HIGH RES CD WITH COPYRIGHTS.